We’re a bit like magpies in the Eden Marketing Team. We love a bit of sparkle. So our heads were easily turned by the stunning artwork of More Than Gold Designs, our newest gift partner. 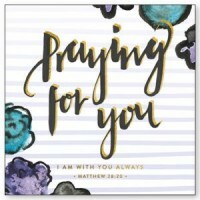 More Than Gold Designs is a luxury brand that makes beautiful, hand-lettered cards and art prints based on the Bible. Greetings Cards - Part of the Edna May collection, a range of cards with watercolour designs inspired by Beth’s nanny’s vintage scarves. 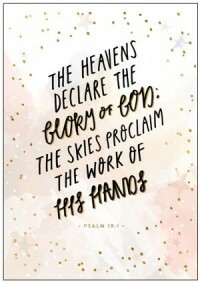 A4 Wall Art prints - Part of The Creation Collection, a series of prints based on God, our creator. 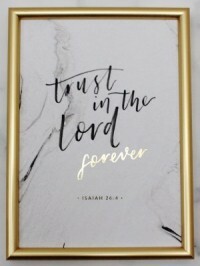 Framed Prints - Part of the Abiding Collection, a trio of prints to remind us of everlasting words to abide by and abide in - each print is 5x7 and is framed in a shiny gold frame. All designs are beautifully finished with gold foil for an elegant, eye-catching gift and are ready to buy now. Perfectly in time for Christmas!